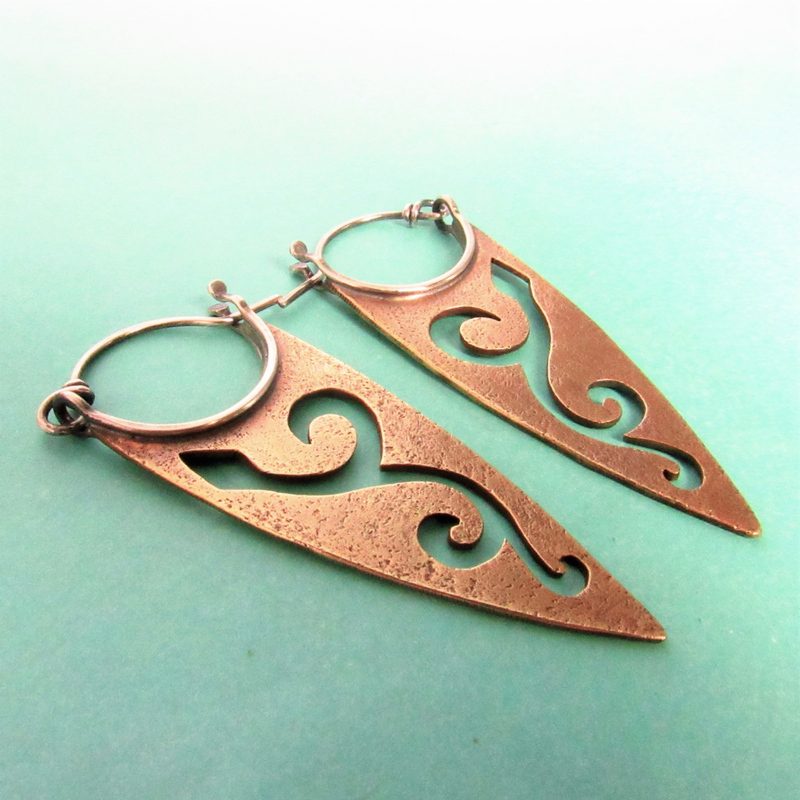 Long and elegant spear shaped earrings in bronze and sterling silver with an airy, vining, pierced design is our newest in the pixie line. 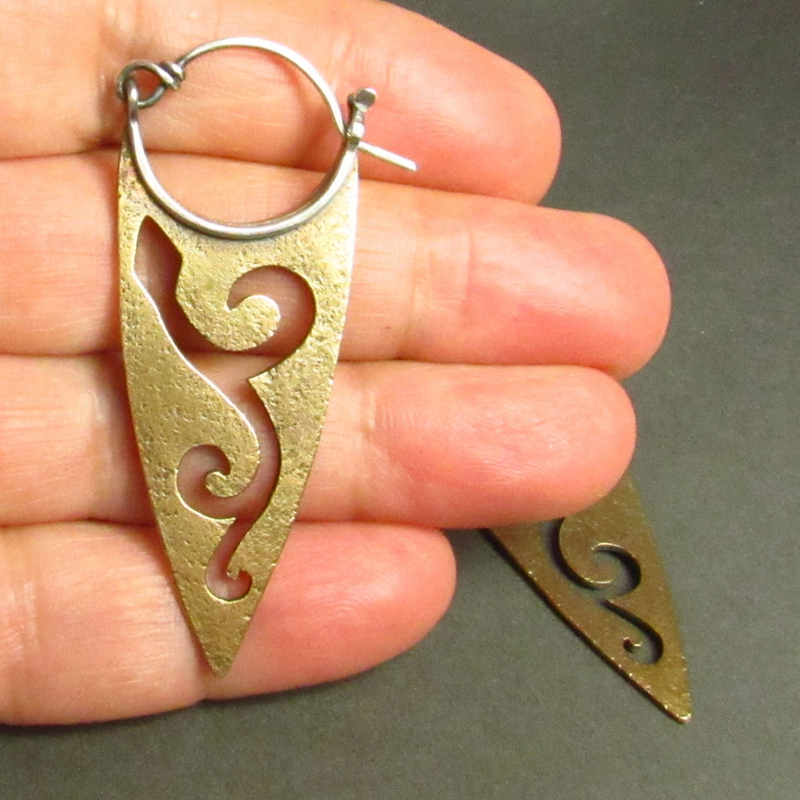 The bronze is textured for interest and contrast nicely with the sterling silver ear wires. 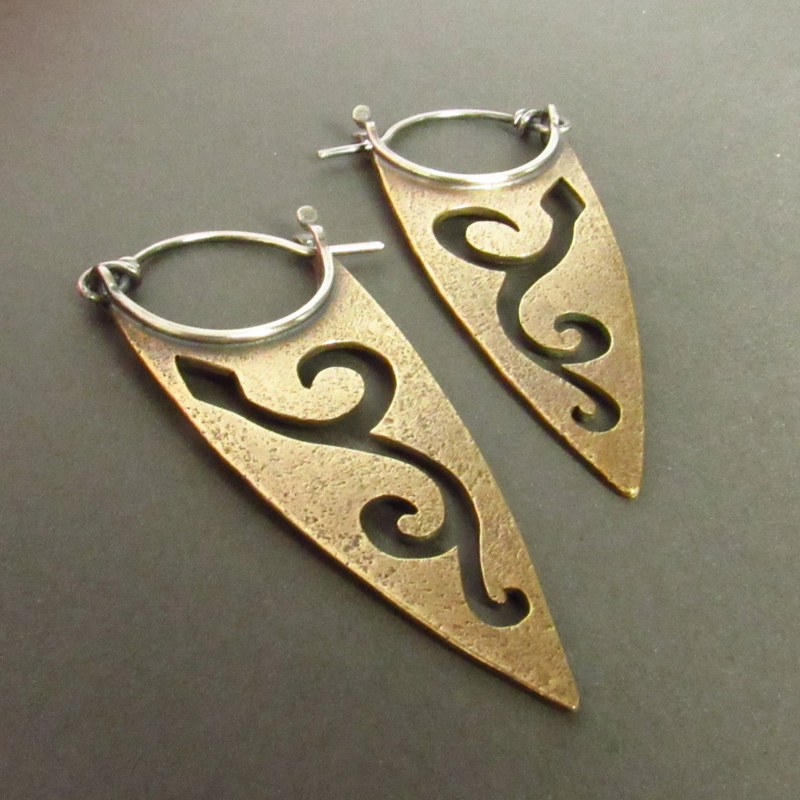 They were oxidized for a rich, warm appearance. 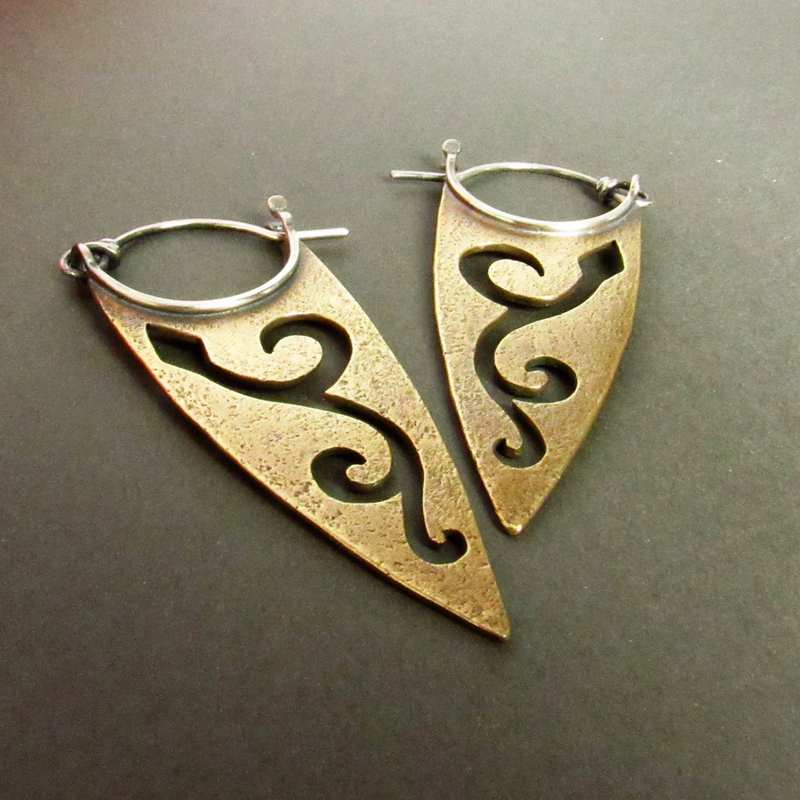 Sprightly earrings that have an edgy, bohemian vibe will brighten your day and certainly be noticed. 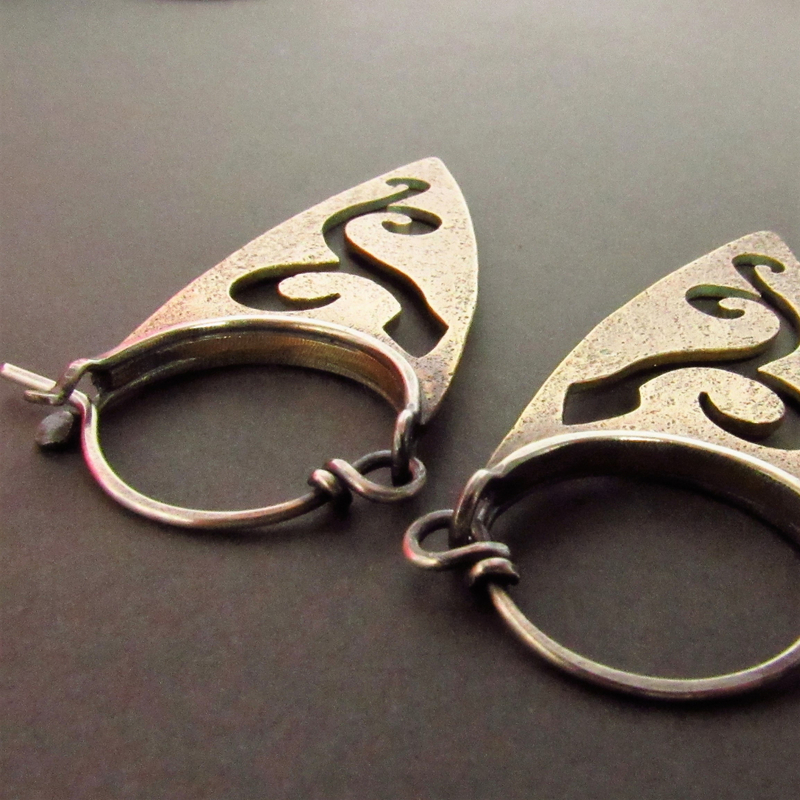 Pair them with anything in your wardrobe and with other jewelry in bronze, silver or gold. Less than 5 grams each earring. NOTE: Made to Order....please allow 7-10 business days for completion.